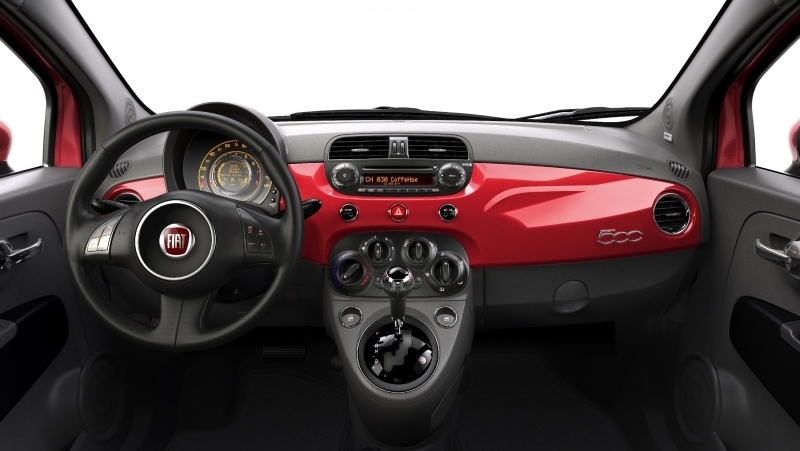 You hear the darndest things when you’re tooling around in a 2012 Fiat 500. “It’s a weird New Beetle!â€ Uh, nope. “It’s some kind of Mini!â€ Wrong again. But come to think of it, those two models are useful for explaining where the 500 fits in. The original New Beetle was basically a styling exercise, a Golf in a bubble costume, and the 500 isn’t quite like that. 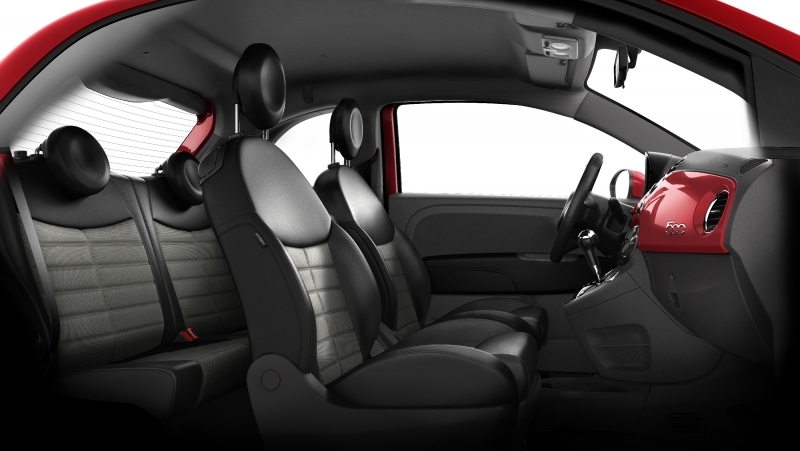 Sure, it’s related to the overseas-only Fiat Panda econobox, but it’s been engineered to provide a unique driving experience along with its unique shape. The Mini, on the other hand, is a purpose-built car that speaks to racing buffs and fashionistas alike – and the 500 isn’t quite like that, either. Yes, it’s got the fashion part covered between its retro-cool looks and Mini-like personalization options, but this Fiat is not a driver’s car, at least not until the turbocharged Abarth version bows next year. So where does that leave the neither/nor 500? In an enviable position, actually, and here’s why: the New Beetle has been discontinued and is transitioning to a new design for 2012, the Mini has lost much of its novelty factor, and the Fiat starts at just $15,500, or thousands less than any other cute-mobile that matters. Mind you, the 500 could use improvement. Still, we think there’s enough good stuff here to win over style-conscious shoppers on a budget. 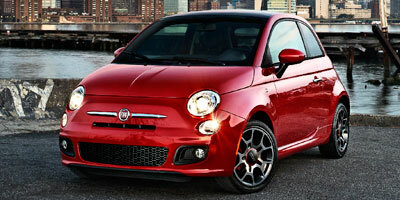 Shouldn’t be long before Americans know a 2012 Fiat 500 when they see one. 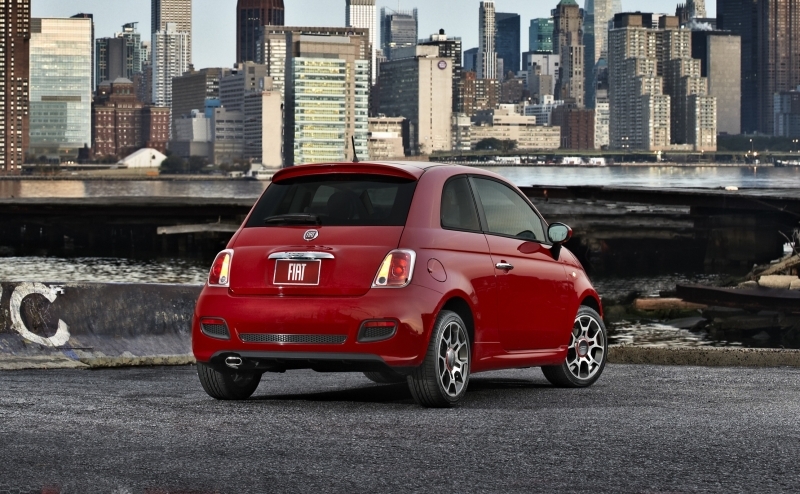 The 500 is an endearingly styled runabout with extensive customization available directly from Fiat – just like a Mini. The base price is attractive, and the optional Bose stereo is satisfying. We also like how the 500 remains quiet at speed, and how the Sport model’s suspension delivers that typically European combination of suppleness and athleticism. 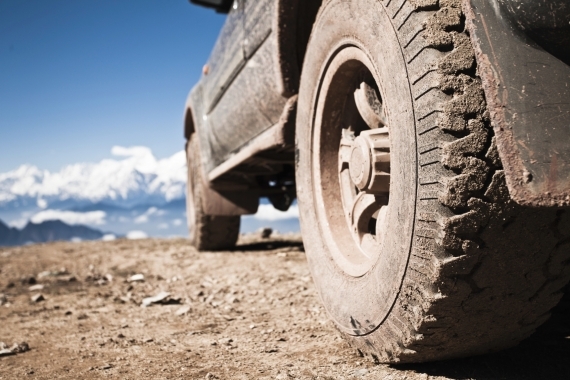 The automatic transmission produces unbecoming vibrations when you’re stopped in “D,â€ and it takes a bite out of fuel economy, too. The manual transmission has a pleasant shifter, but the clutch and throttle aren’t on the same wavelength, making smooth shifting difficult. Rear headroom isn’t adult-friendly, and the front passenger seat is oddly elevated. We’d like to see higher-quality plastics on the dash and doors, too, as well as a telescoping steering wheel. The front-wheel drive 500 has above-average ride comfort for such a diminutive car, and the cabin remains pleasantly quiet on the highway by segment standards. The chassis feels willing enough in corners, too, especially in the Sport model’s state of tune, but the gooey electric-assist steering (including the Sport’s supposedly sharper calibration) saps much of the fun that could be had. The Mini and the Ford Fiesta are superior here. We’ll get to the transmission details in a minute, but the five-speed manual deserves mention for being surprisingly unsatisfying to operate. Most 500s in Europe are sold with the stickshift, so we figured this would be one of the best-sorted aspects of the car, but the clutch takeup and throttle calibration are wonky. 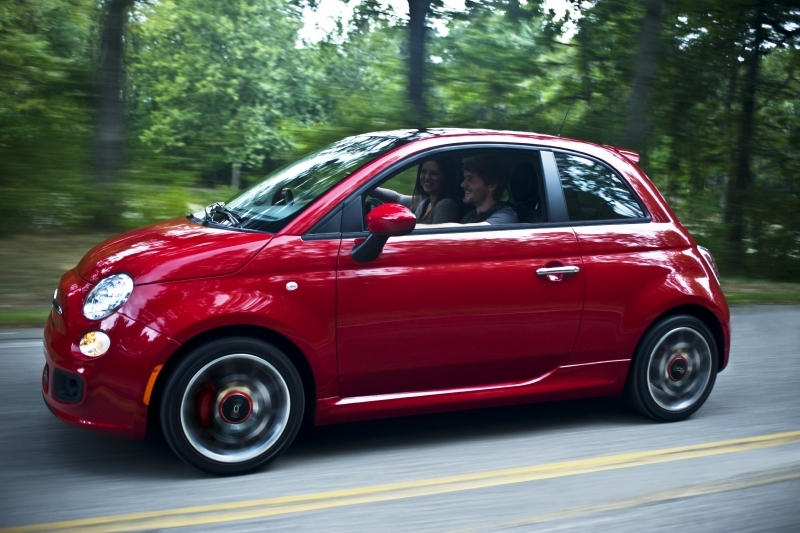 For now, all 500s are powered by a 1.4-liter four-cylinder engine rated at 101 horsepower and 98 lb-ft of torque. It’s a fairly quiet motor – we’re told more sound-deadening material was added to appease US drivers – and there’s (barely) adequate acceleration available if you get the extra-cost six-speed automatic. That’s right: the little 1.4 actually feels less energetic with the standard five-speed manual transmission, especially once you shift into the oddly tall third gear, which is good for a gonzo 95 mph. Unfortunately, the automatic causes the engine to produce significant vibration when you’re stopped in “Dâ€. Most modern automatics don’t have this problem. The big news here is Fiat’s Mini-inspired personalization program. Pick your favorite colors inside and out – there are 14 exterior paint colors and 14 different combinations of interior trim colors – and Fiat will build it. Fiat dealers can also hook you up if you want, say, racing stripes. In other news, the available Bose stereo is an unexpected feature at this price point, and unlike some factory Bose setups, this one actually has solid bass response and sounds good. The 500 has been out for a few years in Europe, which means it was designed before the current high-tech craze. So if you want a navigation system, for example, Fiat gives you a TomTom portable unit that mounts to an unsightly bracket atop the dash. Not cool. 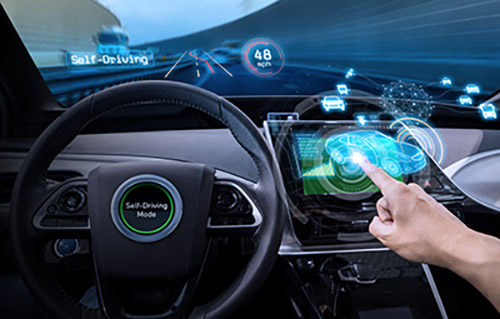 What is cool, though, is the BLUE&ME system (optional on the base 500 and standard on higher trims), which includes Bluetooth, an iPod/USB jack and eco:Drive – a program that generates downloadable fuel economy and emissions data. Fiat also provides an online community called eco:Ville in which drivers can share their eco:Drive achievements. Fiat says to expect fuel economy ratings of 30 miles per gallon city, 38 highway and 33 combined with the manual transmission. That’s actually one more combined mpg than the base Mini can manage, which is saying something. 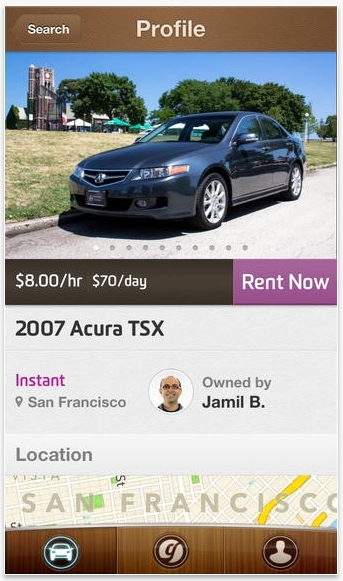 The automatic, however, is said to return just 27/34/30—an unimpressive showing for a tiny hatchback with 101 horsepower. The 500’s cabin is all about the colors. We especially like the dashboard and steering wheel in ivory; add red seats and trim, and you’ll have older passengers recalling 1950s Corvettes. Some of the dash and door plastics are disappointing, however, especially the hard stuff on the protuberant center console, which our knees kept banging into. And what’s up with the non-telescoping steering wheel? The standard height-adjustable driver seat is appreciated, though equally notable is the oddly elevated front passenger seat, which puts taller riders so close to the roof that they may have to recline the seatback. Rear legroom is actually adequate, but rear headroom is nonexistent for adults. Cargo capacity’s about equal to what Mini provides, i.e., not too shabby for something this small. Unlike the first New Beetle or even the Mini, the 500 is a pretty faithful adaptation of the original 1957 “Cinquecento,â€ right down to that dramatically angled, headroom-limiting rear half. It looks like nothing else on our roads, and we expect it to have broader appeal than the Beetle, especially with the Sport’s racy exterior modifications. Appearance-wise, at least, there’s a 500 for everyone. The 500 joins a segment very much in flux, as basic-transportation econoboxes are being phased out in favor of cars people might actually like to be seen in. With starting prices of $15,500 (Pop), $17,500 (Sport) and $19,500 (Lounge), the Fiat slots in a few thousand dollars below comparably equipped Mini models, and it’s an interesting alternative to the four-door but backseat-challenged Ford Fiesta. It also sends the toy-like Smart ForTwo straight to the woodshed. We might even take a 500 over the pricier Honda CR-Z two-seat hybrid, which is barely more fuel-efficient if you compare manual to manual. The 500 looks cool, comes cheap and drives well enough to satisfy most people who are sold on its style. The Mini drives better, of course, but it costs more, too. Are we crazy about this Fiat? No, not exactly. But we certainly wouldn’t discourage you from buying one. And bear in mind that a convertible version is around the corner, as is the aforementioned turbocharged Abarth and even an electric model.